Providing you the best range of vinyl flooring for gym, solid wooden flooring for gyms, laminated wooden flooring for gyms, magic turf for gym, edpm rubber rolls for gym and kids play schools and gym interlocking rubber tiles with effective & timely delivery. 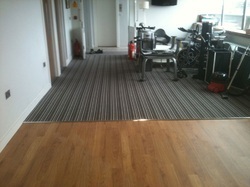 We are involved in offering a broad range of Residential Vinyl Flooring. These flooring are most durable and environment friendly. Offered Residential Vinyl Flooring is highly acknowledged among our clients due to their elegant looks, easier maintenance and grout free installation. In addition, these are available in various specifications as per requirements of our clients. These flooring gives a life to your floor it provides protection from moisture especially in rainy weather. These floors are easy to clean and wipe. These flooring are available at bottom price which will be fit in your expense. Avail from us a wide range of Solid Wooden Flooring, as we are engaged in offering these products in small as well as in bulk. The Solid Wooden Flooring we offer to our clients is purely eco-friendly in nature and ensures long lasting finishing. In addition to this, our entire range is exclusively designed and is resistant towards harmful chemicals. Our firm is involved in trading and supplying a broad assortment of Laminated Wooden Flooring. These are wooden flooring are designed using optimum quality wood and highly developed technology in agreement with the industry standards. Our customers can purchase the provided range in various designs, sizes and shades as per their varied demands. 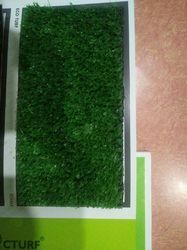 This is a special Rubber flooring in roll form for Gym and Kids play areas. 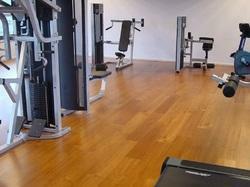 This is specially made for Gym flooring purpose and having manufactured in 10mm, 15mm and 20mm too. 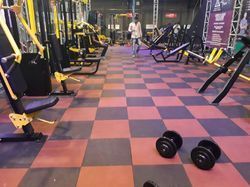 Based on new techniques and latest equipment, we are engaged in offering an extensive range of Gym Rubber Flooring to fulfill the needs of our clients. 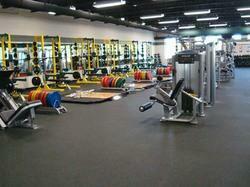 This rubber flooring is very comfortable for doing different exercises. In addition to this, we are offering these products at industry-leading rates. This is a special size of 20mm in interlocking rubber tiles. Not many manufacturers are capable to produce this thickness. Hence we are specialised in market.